Here's a puzzle to get you started. Learn how to make a piece of string into Jacob's Ladder. Tie a long string into a circle then follow these 13 steps. 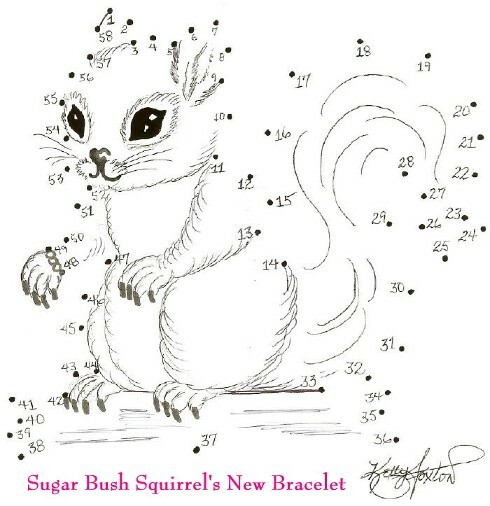 Print out the picture of Sugar Bush below and connect the dots to see her showing off her new bracelet. Here's a brand new puzzle for all of my friends and fans out there. This is a word puzzle with words that have special meaning to me, Sugar Bush Squirrel. First you need to highlight & print the puzzle and the words out on your printer. 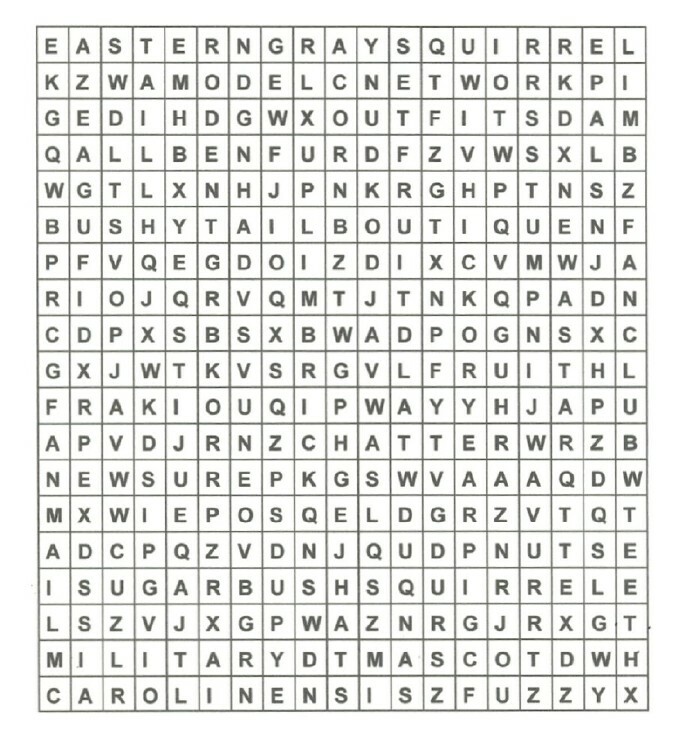 Then find & circle each of the 44 words hidden in the puzzle. Check them off as you find them so you don't forget which ones you've circled. They will be either across, down, or on any angle diagonally.